Anneal marks are created on stainless steel by heating the work piece with a laser beam to form an oxide at the surface, which creates a colour change to the surface of the work piece. Generally, the colour of the mark is black, but other colours including red, green and yellow can be achieved depending on which temperature the material is made subject to. The challenge is to produce a permanent mark which can be easily read. 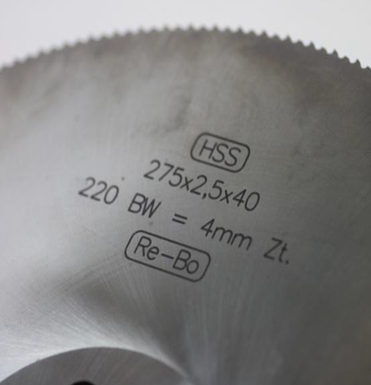 Our G4 70W HS-H fiber laser was tested on stainless steel and is able to achieve a high quality, dark mark which can be read from most viewing angles with a process time of 11 seconds to produce 26 characters, 10mm in height. 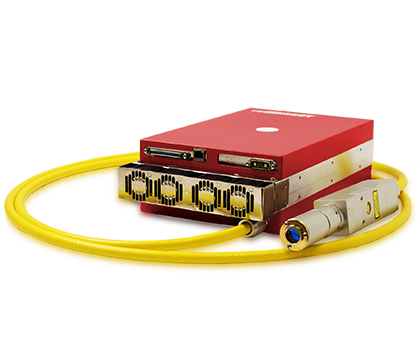 The HS-H type laser is mainly used for applications which require fast processing of large areas. This is because the higher M² value of the HS-H type laser produces a broader energy distribution and therefore does not have a hot-spot like most single mode lasers. This type of mark can be made on some other types of steels and cast iron but the result is very dependent on the grade.